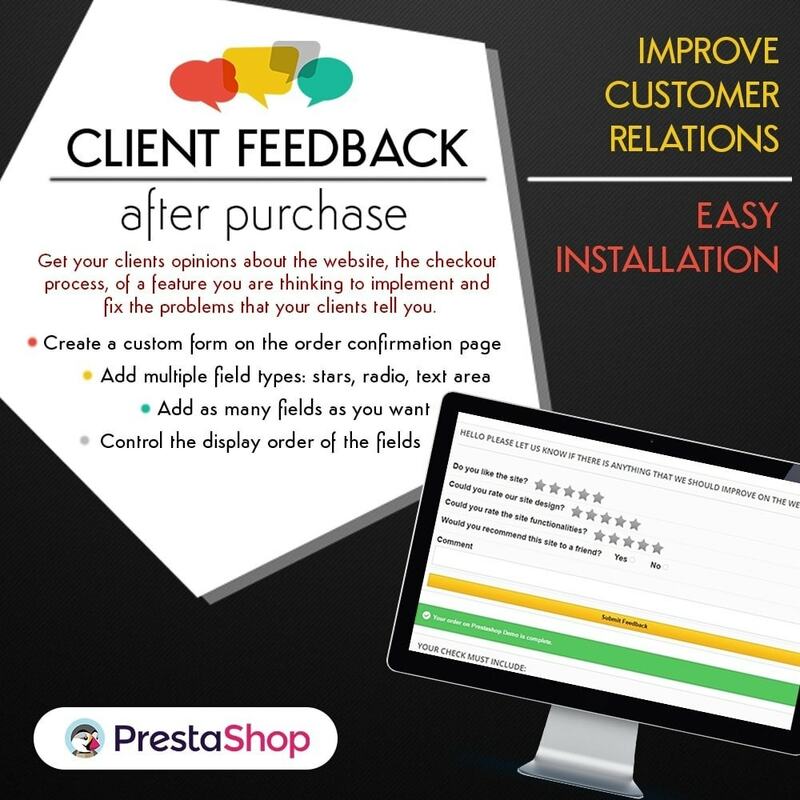 Get your clients opinions about the website, the checkout process, of a feature you are thinking to implement and fix the problems that your clients tell you. 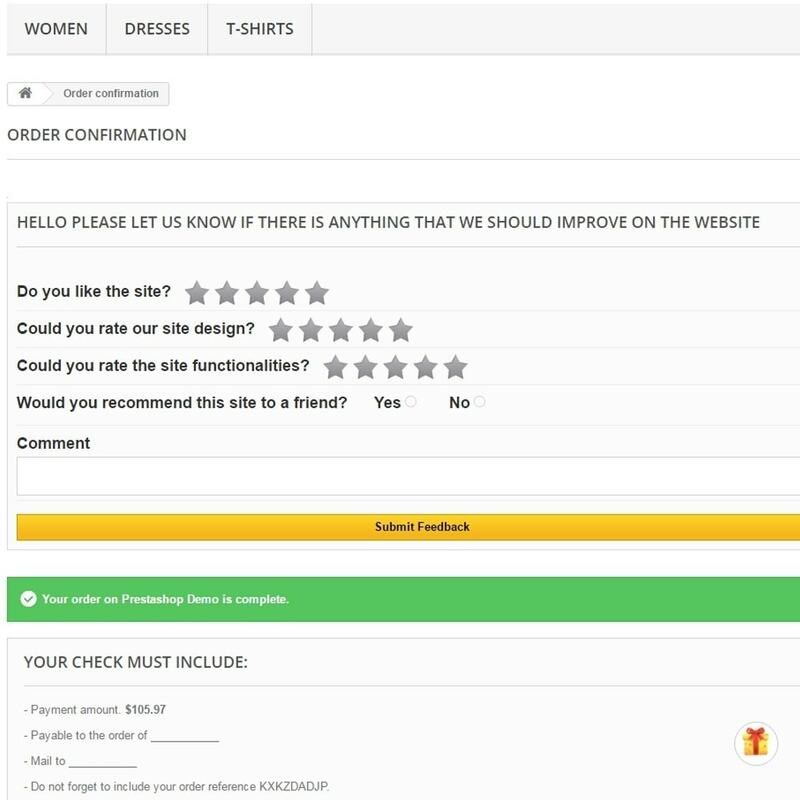 Creates a link between the shop and the clients by asking them for their opinion. 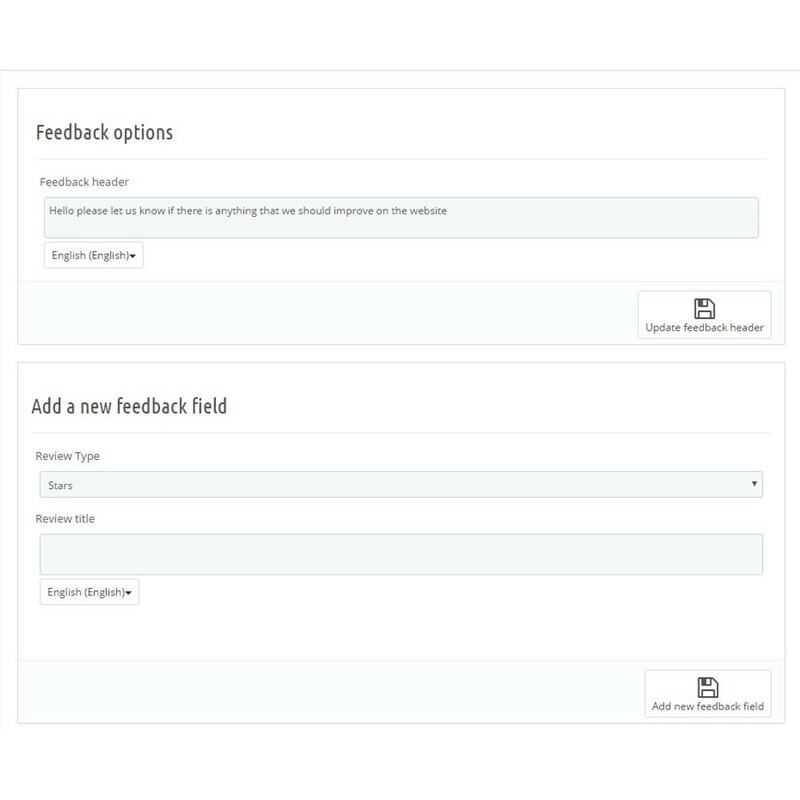 After changes have been made to fix the problems addressed by the clients, they will have a better experience and it will be happier. 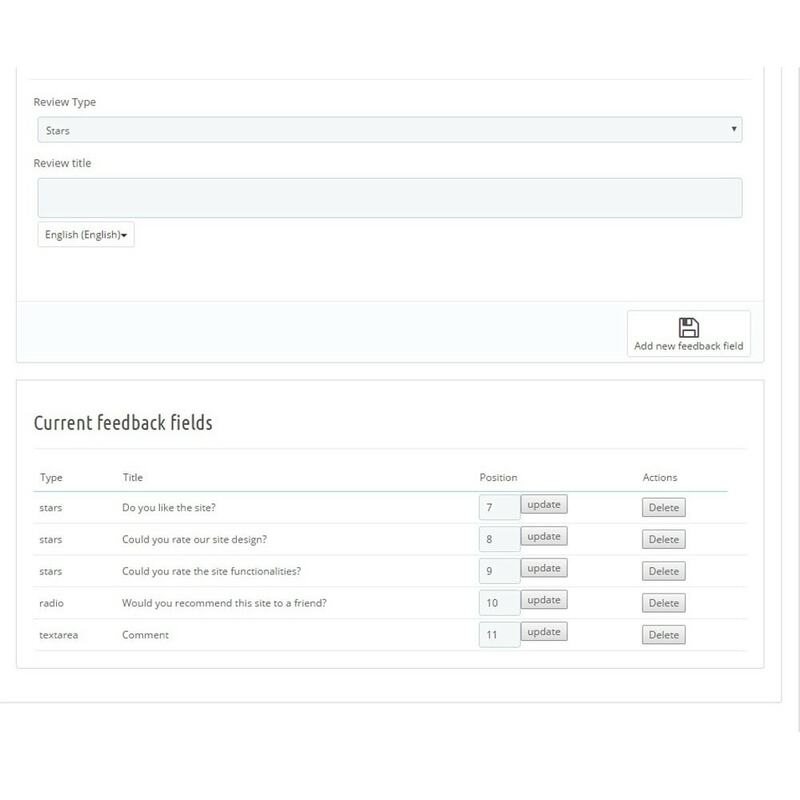 you can add new fields in the form, select the type and complete the title.